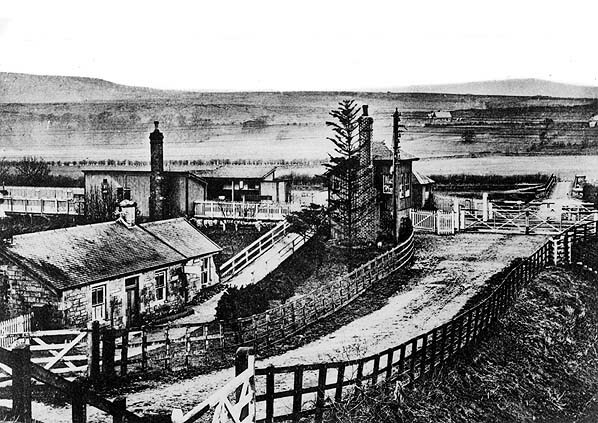 Kershope Foot station early 20th century. The booking office and stationmaster's house are seen on the left with a path to the up platform. The original signal box is seen at the end of the up platform, This was replaced with a box at the end of the down platform in 1915.